Clinically speaking, death occurs when all electrical activity in the brain is gone. For instance, the central nervous system communicates with the body through electrical charges. Electrolytes are minerals that have either a positive or negative charge and are the conductors of the electrical energy in solution within the body. Without them, we cease to exist. In extreme situations, deficiencies in electrolytes can cause sickness and death; chronic deficiencies can be a significant reason for a decline in our health or optimal performance. 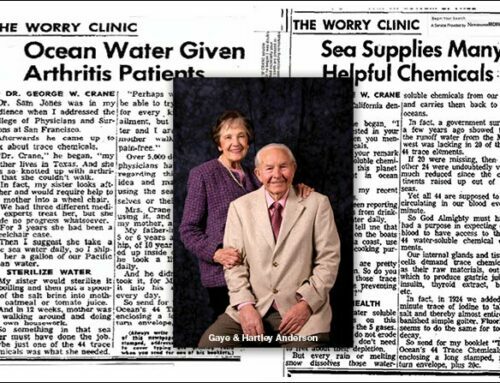 Many health experts believe and teach that adequate hydration is a cornerstone to maintain or regain good health. 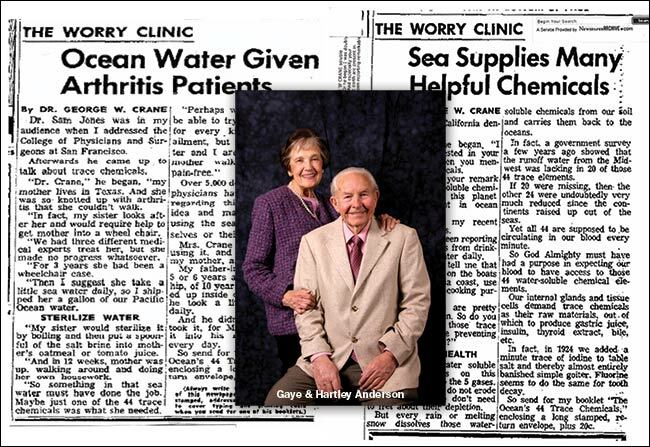 It is interesting to note that the older we get the lower our percentage of total body is water. It is therefore logical to presume that adequate hydration helps a person to look and feel younger. The facts that water makes up at least 70% of the body and physiological functions occur in solution, further validate the need for proper hydration. It makes sense that the perfect beverage for hydration starts with purified water, because it is free of contaminants. Reverse osmosis, distilled, and deionized waters are the most common purified waters; however, pure H2O is only half the equation when it comes to hydrating the body. The other half is to re-mineralize purified water for optimal hydration and benefits. The body requires the best electrolytes in order to transport water where it is needed and to absorb it in the first place. The need for electrolytes to help you efficiently hydrate is quite well known and has been promoted by large beverage companies to sell flavored and colorful sports drinks. However, most people don’t need to supplement with high fructose corn syrup or the additional calories, carbs, or caffeine found in these popular drinks. Mineral Resources International proudly offers the best electrolyte supplements available, elete Electrolyte Add-In™ (elete) and elete Citrilyte Add-In™ (Citrilyte) are excellent for times of high exertion and fluid loss. High performance athletes, especially endurance athletes as well as those working in the heat, experience amazing results with improved performance. In addition, MRI offers Sea M.D.®, which is low in sodium, supports daily hydration, and supports general health and wellbeing. elete Electrolyte Add-In™ is an all-natural, pure, liquid electrolyte concentrate which has no added sugar, calories, added flavor, or anything artificial. This electrolyte complex has an amazing balance of magnesium, chloride, potassium, and sodium, as well as the full spectrum of sea-source trace minerals in trace and ultra-trace quantities. This product contains all you need for efficient hydration without all the stuff you don’t need. Elete is so concentrated that the 8.3-ounce (250 ml.) bottle makes 25 gallons of electrolyte water. elete Citrilyte Add-In™ has the same basic mineral balance as original elete, but with just enough citric acid for flavor and nutrition. When added into water, Citrilyte tastes like pure water with a refreshing twist of lemon. Plus, with its extreme concentration, an 8.3-ounce (250 ml.) bottle makes 20 gallons of refreshing performance water with a hint of lemon. Finally, Sea M.D.®is perfect for everyday use because it is all natural, low in sodium, rich in ionic magnesium, and naturally balanced from the pristine north shores of the Great Salt Lake in Utah. Sea M.D®. is so concentrated that you only need a half teaspoon, or 2-3 ml, in a gallon of water. It not only helps to hydrate more efficiently, it improves the flavor of purified water, which increases the desire to drink more. Hydration study shows elete Electrolytes significantly improves hydration over pure water. Using elete Electrolyte Add-In™, the University of Montana, Human Performance Department conducted a study to observe the effects of electrolytes on hydration. In actual forest fire fighting conditions, firefighters were randomly separated into a control group which drank only purified water and an experimental group drinking water fortified with MRI’s elete Electrolyte Add-In™. Those drinking plain water consumed over 73% more water than the elete water group, yet there was virtually no difference shown in hydration between groups. This study shows that a person will hydrate far more efficiently using elete Electrolytes rather than pure water alone. elete Electrolytes can be your key when you are more prone to dehydration. Read elete Hydration study. There are specific activities and conditions which cause a higher degree of dehydration. Dehydration due to alcohol consumption is actually the primary cause of hangovers. Beverages high in sugar and caffeine, such as coffee and soda, also cause dehydration. Air travel can cause dehydration, since there is virtually no moisture in the air at high altitudes. Any strenuous work or sports, especially when done in the heat, causes fluid loss. Endurance athletes particularly love elete Electrolytes because they find it difficult to stay adequately hydrated and cramp-free otherwise. elete Electrolyte Add-In™ is also a great relief to keep in your medicine cabinet for times when a family member loses large amounts of fluids because of illness. In general, since we continually lose fluids, we continually need to hydrate. elete Electrolyte Add-In ™ will not only help a person hydrate but also help balance the electrolytes in the body, aiding in the healing process. The best electrolytes not only conduct electrical activity in the body, they are used to maintain the energy we need to keep moving. It is interesting to note here that people love their caffeine because of the short-term boost in energy they feel. However, it is often followed by the energy lows. Caffeine depletes magnesium, which is used in the A.T.P process of converting calories into energy. Extra magnesium is very important when we consume caffeine to help avoid the energy “crash”. elete Electrolyte Add-In™ and elete Citrilyte And-In™ can be added to any beverage, including purified water, to turn it into a high-performance electrolyte drink. The 25 ml. pocket bottle can conveniently go with you anywhere: in a purse, pocket, or gym bag. It is small enough to be carried on a plane and makes two and a half gallons of the best electrolyte drink available. The cap is used to measure the perfect quantity of electrolytes for 16, 24, or 32-ounce bottles. While the larger bottles are the most economical, they pair nicely with the conveniently refillable pocket bottles. The dropper tip pops off to refill and is easily popped back in by placing the tip back into the cap and tightening the cap back onto the bottle. If you use a hydration bladder, elete Electrolytes Add-In™ and elete Citrilyte Add-In™ are perfect because they clean up like water and aren’t going to grow a science project like other sticky sports drinks. Whereas calcium and sodium help muscles to contract, magnesium and potassium help muscles relax. A muscle cramp can be experienced when there is a deficiency in magnesium and potassium when muscles don’t properly relax after contracting. It therefore makes sense that magnesium and potassium also help with night muscle cramps. 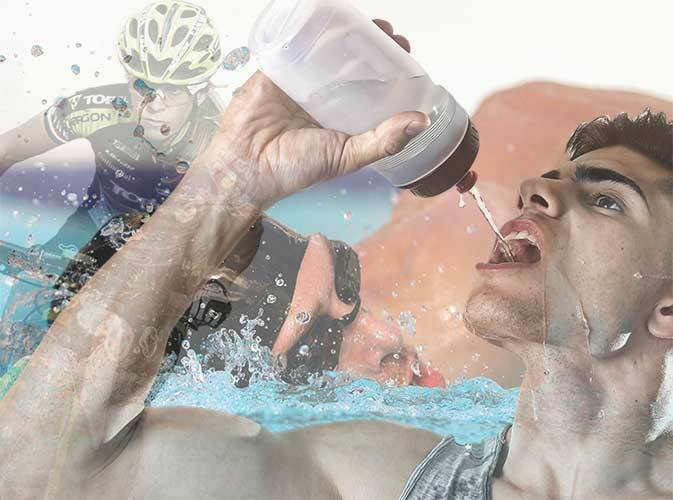 Since these deficiencies can occur when we lose large amounts of fluids, such as when we’re working in the heat or participating in sports or other high exertion activities, supplementing is the logical solution. elete Electrolyte Add-In™ may just be your competitive edge. Instead of enduring physical exertion you can enjoy it. Be healthy, be fit, and feel your best with elete. Copyright | All Rights Reserved | Mineral Resources International, Inc.